Wouldn’t it be nice if you had a marketing task checklist? Mindlessly scrolling through marketing articles on Facebook about things you can’t really take action on is pretty stressful. And how do you even begin to sort through the good tips and bad tips? As a leading resource for Internet marketing in Chicago, our team at Design & Promote decided to put together a of the most relevant marketing tips that are easy for you to start implementing today. When we work with clients, we don’t like to just hand over finalized strategies and solutions to; instead, we like to educate our clients to help them understand the most effective and useful online marketing resources available. So for you, our reader, we’d like to make your job a little easier by lining out things you can do to actually help your business standout online. 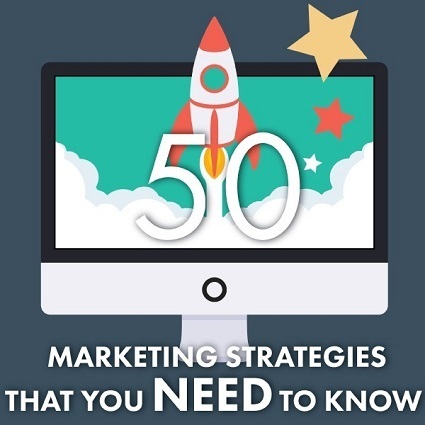 These 50 effective marketing strategies are broken down into 5 key categories, which we feel will help businesses create a rock solid brand and marketing plan. Think about what your demographic throughout the whole design process; what do they want/need to know about you? Include Majestic SEO to count backlinks from other websites. Remember: Knowledge is only good if you use it. We hope you’ll pick a few of these tips and put them into practice. Did you find this list helpful? Share it with a friend to help them create their own rock solid marketing strategy! Contact Design and Promote for help crafting and refining your online presence.